Why is this happening to me? What am I going to do? Are these questions you ask yourself? 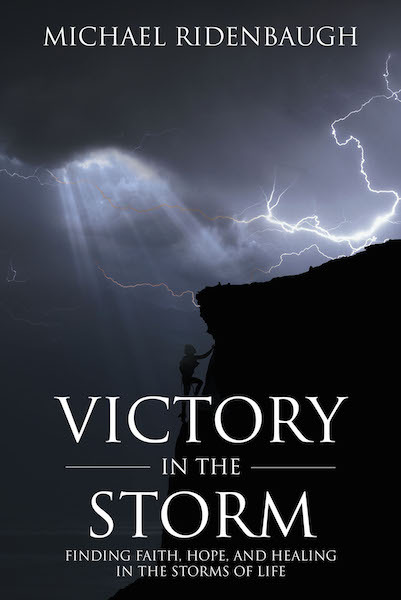 Pastor Michael Ridenbaugh addresses these questions in his book Victory in the Storm. Written for the everyday person with everyday problems, his book is written from the experiences of actual people who have faced storms and traumas in life and, as a result, are asking the same questions about their lives, faith, and purpose. ·	that we all can heal from our wounds no matter how deep they are. If you are ready to overcome your struggles and want to come out stronger and victorious, then start your journey now to peace and healing.